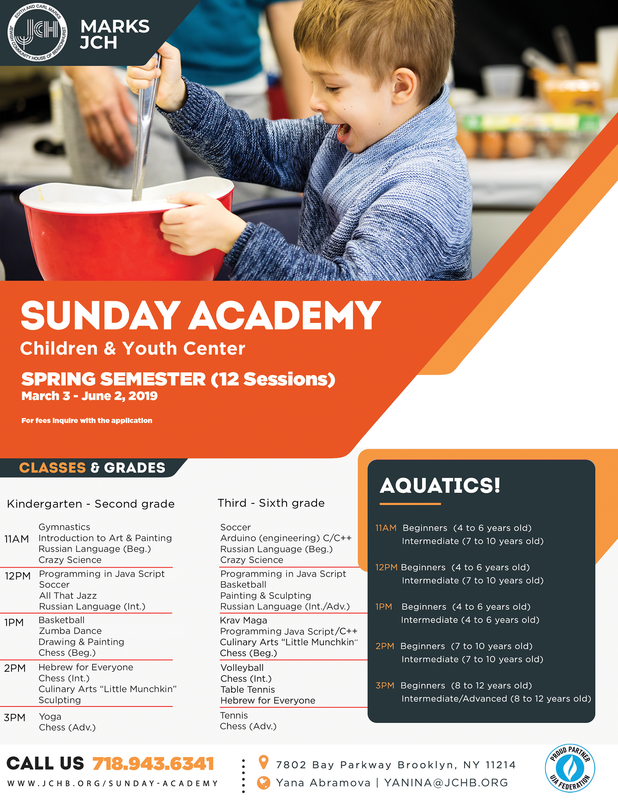 Through Sunday Academy, we offer children ages 4-12 a wide range of recreational and academic classes, including swimming, gymnastics, Zumba, yoga, Krav Maga, Legos, robotics, soccer, basketball, painting, and chess. Check out the full schedule of 20+ classes to see what might interest your child. Registration: Space fills up quickly on a first-come, first served basis, so please register early.